Registration for guaranteed places in this event are now closed. If you have secured your own place and would like to join #TeamGuideDogs, click 'Register Now' and select 'own place' to enjoy all the same benefits. Thank you for your interest in running the Bath Half Marathon for Guide Dogs! Every hour, another person in the UK goes blind - we work for a world with enough support to make the challenges of sight loss no barrier to fulfilling hopes and dreams. 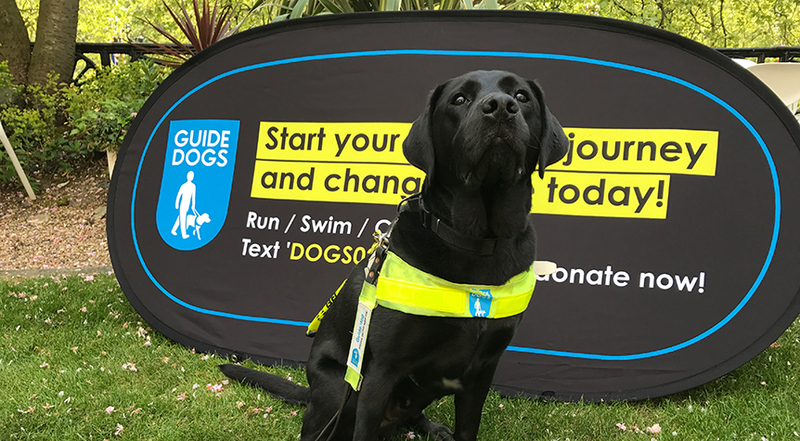 To apply for one of our places in the Bath Half Marathon please click the 'Register Now' button on this page and choose 'I would like Guide Dogs to Organise a Place for me'. If you have already secured your own space we would love you to join our team – simply sign up as “own place” and enjoy all the same benefits. Questions? Please don't hesitate to get in touch with us! You can call us on 0345 143 0200 (Monday to Friday, 9am to 5pm), or email us at events@guidedogs.org.uk.